For her outdoor wedding in a Mammoth Lakes meadow, this bride and her bridesmaids, in their purple dresses, wore cowboy boots in brown leather. Not only was it a cute look, it was also very sensible for this rustic, natural wedding in the Sierra Nevada Mountains. 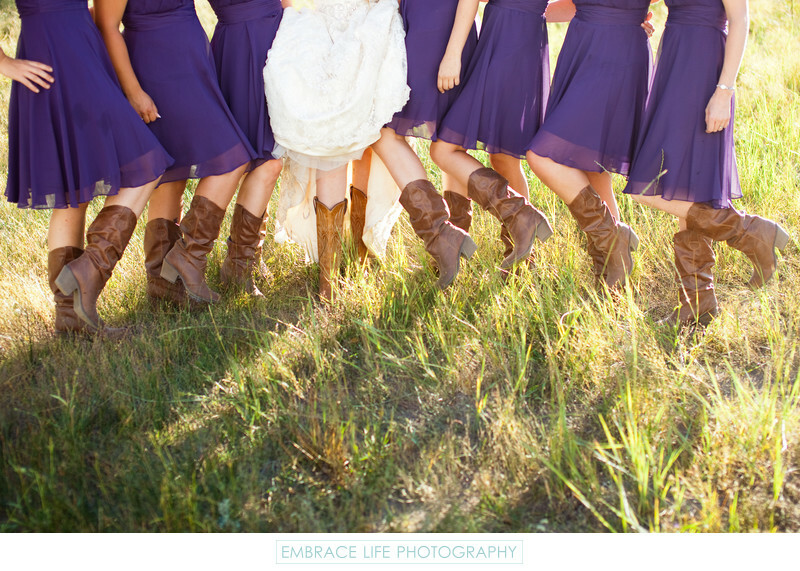 The bridesmaids wore slouch boots, while the bride wore a more traditional embroidered western boot style.